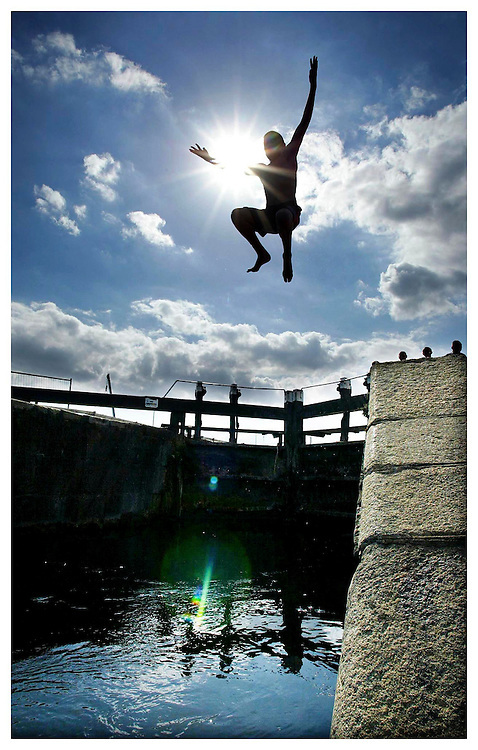 George McCabe, from Crumlin, pictured here making the most of the summer sun as he leaps into cool waters at the royal Canal, Dublin. Pic. Robbie Reynolds.